Minecraft's younger XBLA brother does the brand proud. The announcement that Minecraft was coming to XBLA was guaranteed to cause a great divide of anger from the PC-gaming faithful and rejoice from console gamers. The question of why Minecraft should be ported to a console is a valid one, with many gamers claiming it could only be a lesser version. The lack of mod support for this version alone is enough for most to turn their nose at the thought, and though updates are planned for the game, it has been said by Mojang, the game's developer, that the Xbox 360 Edition would be a bit behind it's PC counterpart. Yet with all of these things considered, is it not possible that Minecraft: Xbox 360 Edition could be up to par with, or even best its brother? Perhaps the main draw of this version of Minecraft is how the player will experience the game: on a television, from the couch, controller in hand. The gameplay is the same addicting, tried-and-true formula that granted Mojang overnight success some three years ago. However, the 360 Edition boasts new additions like split-screen multiplayer and a crafting guide(! ), the latter making Minecraft a heck of a lot easier for newcomers to pick up and play. This may dissuade fans of the original, as part of Minecraft's charm was essentially throwing the player in a sandbox with no directions. 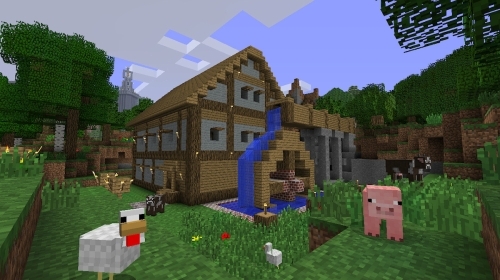 The basic concept of Minecraft remains untouched in the 360 Edition, but the need to remember each crafting recipe or keep a browser window open with a Minecraft wiki has been rendered unnecessary, and is better for it. Markus "Notch" Persson, creator of Minecraft, announced today via his twitter page that the game has 20 million users. The pixel graphic mining game is oddly addicting and worth the price. He then explained that, " At 70 kg each, that's 25% of the weight of the Great Pyramid of Giza." It would be interesting to know how many users they have online on average. Today another update to Minecraft was added. On top of the statistics and achievements that were already speculated to be added, they also added weather and two new mine cart rails. The weather will play a bit of a role in the landscape in the new update. When its snowing in a icy area, you can break the ice but it will quickly regenerate its self. Same goes for snowy landscapes as well. There are two new mine cart rails, powered and detector rails. The powered rails do what you expect them to do, witch is boost you. The detector rails supply a flow of energy when a mine cart holds a person on the rail. This can be set up to play a music block to notify you, or can be used as a trap. What do you think of the new features? Will you be checking them out? 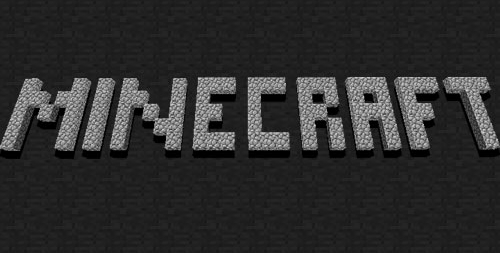 Minecraft will be officially released on 11/11/11, according to Notch's (Developer of Minecraft) blog. He personally says that it more like a right of passage mainly because they will be dropping the beta from there name. As of posting Minecraft is in Beta 1.4, recently adding tamable wolves and cookies! “It’s a bit tricky to really do a release for Minecraft as we keep updating it all the time, For one, the version we deem as the ‘full version’ won’t be very different at all from what the game was like a week ago, and we’ll keep adding features after the release as well, so it’s really more of a milestone when we finally get rid of the Beta label, and some kind of goal for us to work towards. The plan is to be open with this and try to get people to cheer us on as much as possible, but to be open with the fact that the game won’t change much at the actual release day.” Notch said. He also goes on to say that the next major features added in Minecraft 1.5 will be weather, and achievements and stats, both of which have been previously speculated about. Any features you would like to see in Minecraft? Leave your thoughts on that in the comments!